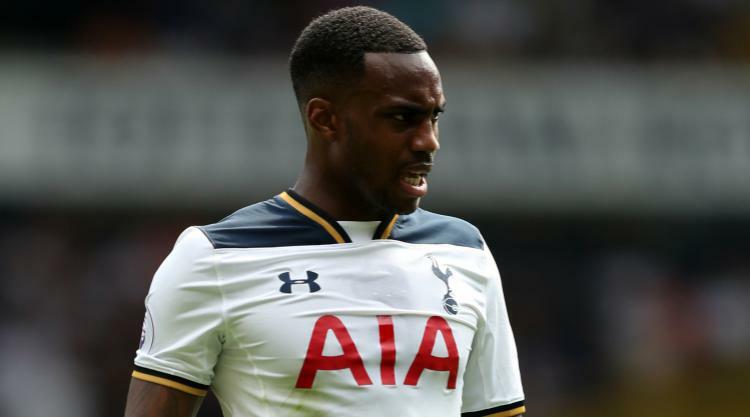 Manchester United boss Jose Mourinho wants to sign Tottenham's Danny Rose, but is facing resistance from the board, according to the Daily Mail. Mourinho is said to see the 27-year-old as a good fit for the team, though the executives are reportedly still putting their confidence in Luke Shaw, who has fallen out of favour with Mourinho after a bad run of form and injury issues. Both Manchester United and Chelsea could be left disappointed in the January transfer window over their pursuit of Juventus' Alex Sandro, the Independent reports. The 26-year-old is said to be keen to leave the Italian club, but the Serie A champions seem reluctant to lose their defender midway through the season. With Philippe Coutinho's Liverpool exit looking ever more likely, the Reds are said to be interested in signing Monaco's Thomas Lemar as his replacement, the Mirror claims. The 22-year-old was on the radar of Liverpool last summer, as well as Arsenal, but it looks like Anfield would be the preferred choice for the France international. Everton are hopeful of signing Cenk Tosun in time for the FA Cup third-round clash against Liverpool, the Independent says. The 26-year Besiktas forward has long been a favourite of Sam Allardyce and it looks like a deal worth £25million could now be close to being completed, giving Allardyce a fresh option for his squad in the derby match on Friday. With just 18 months left on his contract, West Brom are hopeful Jonny Evans will commit to a new deal to keep him at The Hawthorns, the Mirror reports. But with interest mounting from Manchester City and Manchester United the club may have to be prepared to sell him. Reports suggest United are willing to offer £20million for the defender, who spent 10 years at Old Trafford before moving to Albion in 2015. Inter Milan are keeping a close eye on Juan Mata and any possible developments in his contract with Manchester United, according to the Mirror. The 29-year-old's contract is due to expire at the end of the season and, if United do not trigger a one-year extension, the Italian club look poised to make a move for the attacking midfielder. Manchester United, meanwhile, have their own eye on PSG winger Lucas Moura, the Sun says. Mourinho is hopeful of agreeing a loan deal for the 25-year-old, who is yet to make the starting XI this season for the Ligue 1 leaders. However, it is thought PSG will only go ahead with any possible move if it leads to a permanent £40million deal next summer, the paper reports.